We’re joined by our tough buddy, Josh of MENtertainment Tonight, to do some tough talk in the Cranksgiving tradition. 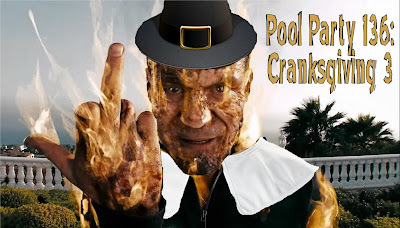 As part of the inclusive spirit of Cranksgiving, we have tough lists from some of our favorite podcat bros and broad cats, like Rotten Rantings, Illogical Contraption, Kissing Contest, Bad Land Girls, and Junk Food Dinner! It’s a feast of toughness! We also discuss our most recent beefs and read some tough emails. Donloyd Here if you have a beef or know what is truly tough. Like us on Facebook or leave a review on iTunes or email us! Let us know if you're ready for prime time!